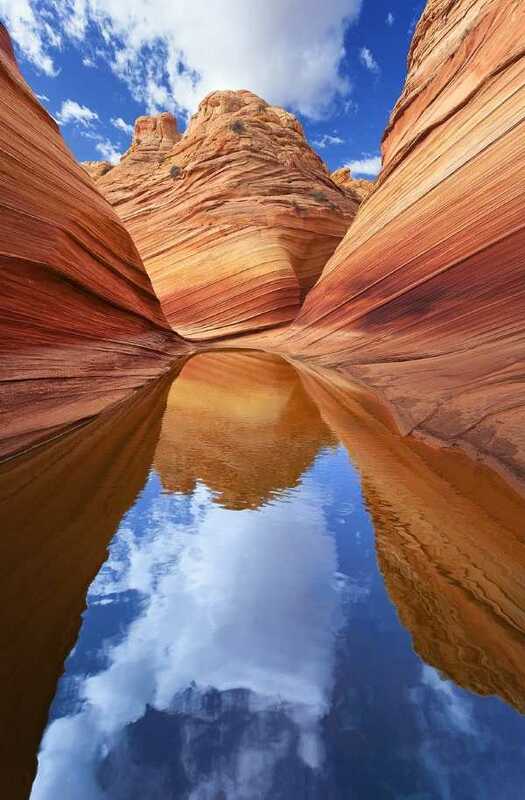 Spanish photographer Raúl Cruz Arnelas captured spectacular images of “The Wave”, a natural sandstone rock formation in the Coyote Buttes of Arizona. 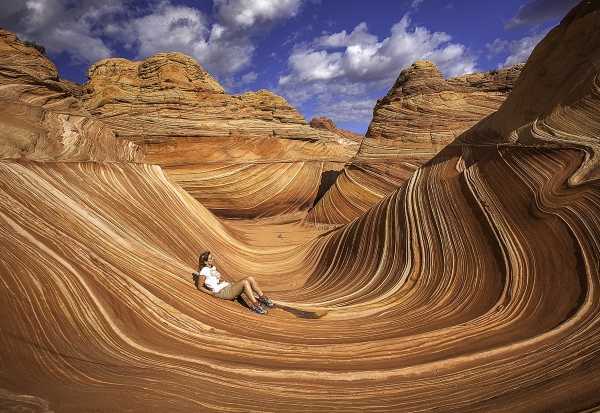 “The Wave” is located in the Paria Canyon-Vermilion Cliffs Wilderness of the Colorado Plateau. 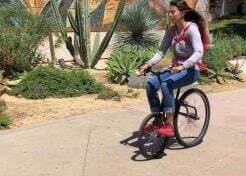 Geologists estimate the Navajo Sandstone that comprises the rock formation was formed between 150 million and 200 million years ago, in the Jurassic Period. 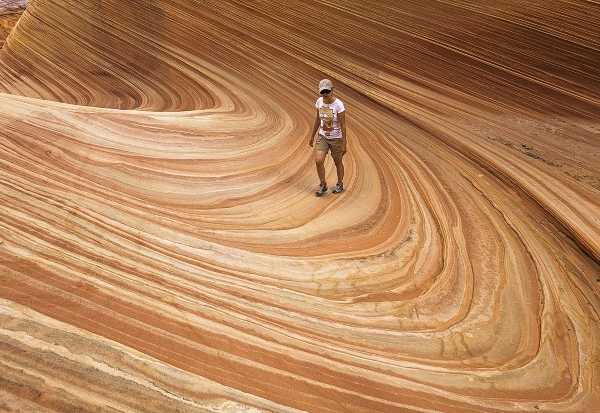 The swirling stripes of stone were originally carved out by rare desert floods and weathered further by windblown sand. Many who have visited The Wave state that the formation’s swirls, whirls, rises and falls provoke feelings of dizziness and disorientation. Even so, The Wave’s unique atmosphere and breathtaking beauty have attracted visitors since time immemorial and continue to do so today. The numbers of European tourists in particular has increased in recent years after The Wave was featured in the German documentary films Fascinating Nature (1996) and Faszination Natur – Seven Seasons (2004). In response to the rising tide of visitors and in an effort to preserve the relatively fragile formation, the U.S. Bureau of Land Management limits access to the North Coyote Buttes Wilderness Area to just 20 permits daily.